Allison Fence Company has several locations across southwest North Carolina and northern South Carolina, including the idyllic town of Waxhaw. This small town is located a dozen miles south of Charlotte and provides a relaxing oasis away from the bustle of The Queen City. We are proud to serve our customers in and around Waxhaw and the Piedmont and appreciate the rich history that makes region of the Carolinas truly unique. 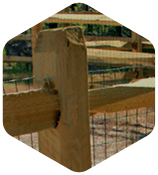 Waxhaw’s proximity to Charlotte makes it an ideal location for the Allison Fence Company, as well as, many families and small businesses. The town is named after the Waxhaw Native American tribe that originally inhabited the area and that legacy can still be seen throughout the community. Today, the downtown is filled with historic buildings that also serve as architectural focal points that give the city a certain alluring southern charm. These buildings are now home to locally owned restaurants, antique stores and specialty shops that attract visitors from the surrounding areas. Residents can enjoy a vibrant downtown or head out to local parks to experience the rolling hills that define the landscape in this region. 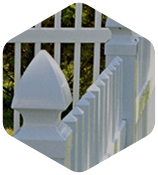 For Allison Fence Company, Waxhaw provides the perfect location for us to serve local home and business owners and provide the best in residential and commercial fencing products and installation services. Our customers are also our neighbors, which gives us a unique perspective on their needs. As an active member of the Waxhaw community, we are uniquely positioned to offer solutions that not only improve curb appeal, security and privacy, but overall quality of living. We are committed to creating better homes and businesses and happy customers. 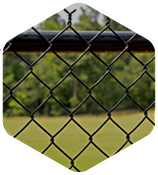 When Allison Fence Company first began serving customers in the Carolinas, chain-link fences were the most popular option, but fencing materials and practices have advanced and expanded over the years. Today, chain-link fencing material still provides a simple and affordable solution that customers can compare to the latest in aluminum, steel, wood and PVC fences. Our experts will work with you to find the perfect fencing solution that not only looks great, but also provides the ideal level of security. 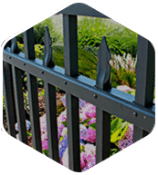 Whether you want help designing and installing a custom wood fence or you are looking to make a statement with ornamental steel fencing, we can accommodate your needs and create a stunning fence that is sure to impress. Choose from a wide variety of colors, styles, building materials and decorative details to create a fence that compliments your home and showcases your personal style. For commercial businesses, the fencing considerations are security and durability. We understand that Waxhaw area businessowners need strong and functional fence and gate solutions that allow them to protect their property, inventory and employees. With our custom fence design and installation services, you can upgrade your security and enjoy a durable and reliable fence that will continue to look good and perform for years to come. 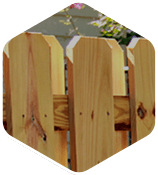 Partner with the fencing design and installation experts that your friends and neighbors have trusted for years. Allison Fence Company has worked hard to build a reputation for professional and reliable service along with superior products and hassle-free installation so that customers across the Piedmont can enjoy the fence they need to secure their home or business. Call us today to get started on your fencing project and learn more about all your available options. Our friendly and experienced representatives will be happy to answer all your questions and help you take the first steps towards transforming your home or business.